Its that time of year again, and with only just over a month to go, its time to start thinking about the ideal gifts for Christmas. With so many new Apple products launched in the past year, an Apple accessory is the perfect gift for the technology lover in your family. 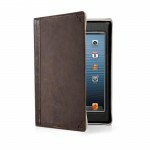 Whether it is for the new iPad 2 or the ultra new iPhone 4S, make sure you bag the top accessories this Christmas. And to help you along, here at eoutlet we have composed a list of the top iPod, iPhone and iPad accessories that will make the ideal gifts for the festive season. 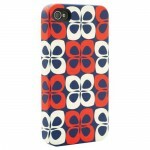 This has got to be one of the most popular iPhone 4 cases that we have encountered at eoutlet. Not only is it stunningly beautiful, but it is immensely unique and even practical to boot. Forming the ideal protection for your iPhone 4, the Twelve South BookBook For iPhone 4 even includes a subtle wallet inside, allowing you to keep all that’s important together and safe. 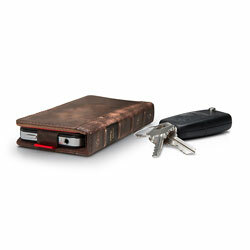 Designed to look like a vintage book, no two Twelve South BookBook’s For iPhone 4 are the same, featuring hand-distressed leather and two hard back covers. With a clear window on the wallet side, you can clearly display your id or photos with your iPhone 4 nestled safely on the right. But what about taking photos? Simply slide up your iPhone 4, capture the shot and slide your iPhone 4 easily back into the BookBook Case. The Twelve South BookBook For iPhone 4 will make the perfect Christmas present, small, compact, protective and to top it all; beautifully unique. Music helps make the world go round, and with Apple technology, you can now store and share your entire music collection on one portable device. Pretty clever wouldn’t you say? Well, despite having all your music on your iPhone, iPod or even those lucky ones with the iPad, it is often difficult to share your music or in some cases, listen to it really loud. That’s were the genius of the docking station comes in. Allowing you to dock your iPhone or iPod, the docking station will play your music to your hearts content, and as loud as your ears will take! There are so many different iPod docking stations on the market and it is often difficult to sort the wheat from the chaff and find one that will really do the job, and also look pretty good to boot. That’s why we’ve selected the Vestalife Ladybug II Colourful Speaker Dock for iPod and iPhone as the ideal Christmas present if you’re looking for a docking station. Not only does it offer some truly impressive sound, but also the unique Ladybug design will make it like no other and form a truly exciting present for someone special in your life. 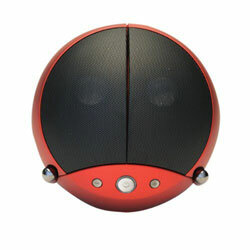 Small and portable, the Vestalife Ladybug II Colourful Speaker Dock for iPod and iPhone has fold-out “wing” speakers which open to reveal the docking port for your iPod or iPhone. 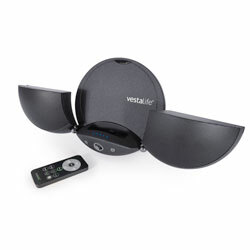 Delivering exceptional sound quality through the inbuilt subwoofer, the Vestalife Ladybug II Colourful Speaker Dock for iPod and iPhone also features a remote control for convenient use and a handy 3.5mm AUX input so you can still use many non-dockable devices including the iPad. Working with all dockable iPods plus the iPhone 3G/3GS, iPhone 4 and even the brand new iPhone 4S. And if all this wasn’t enough to make this an excellent Christmas present, the Vestalife Ladybug II Colourful Speaker Dock for iPod and iPhone comes in two colours; classic black or a vibrant metallic red. Using your iPad or even your iPhone can often be a little fiddly, especially if you are using painting and drawing apps. 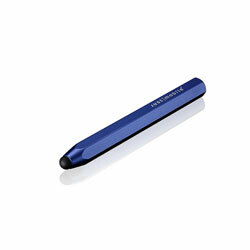 That’s where the trusted stylus comes in, providing the perfect touch sensitive tip, working as accurately as your finger, yet keeping your device free from marks and finger prints. 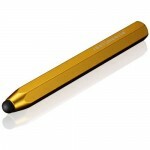 Just Mobile have designed the ultimate stylus pen, one which knocks all the competition out of the water. 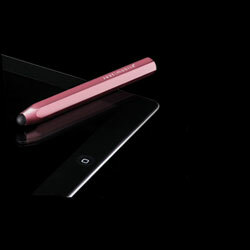 Bringing you the Just Mobile AluPen Stylus for iPad, iPhone or iPod, the perfect functional stocking filler. Small, compact and completely retro in design, the Just Mobile AluPen acts as the perfect companion to your iPhone or iPad and doesn’t prove to be an inconvenience to carry around with you especially considering it comes in its own handy Deluxe carrying case. Designed to look like a chunky pencil, the Just Mobile AluPen is made from high quality aluminium and features and soft nib which is excellent for precision and accuracy. What’s more is that the Just Mobile AluPen is available in a range of brilliant metallic colours including; Silver, Gold, Red, Blue, Green, Pink and Black. Just Mobile also do a special edition version of the Silver AluPen which features its very own aluminium stand, Just Mobile AluCube Stand & AluPen Stylus For iPad, iPhone & iPod Touch. 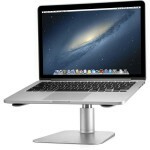 This little stand is perfect for keeping your Just Mobile AluPen safe and secure when not in use and adapts to the Apple mantra of simple and sleek design. We’ve so far seen an array of some of the top Apple accessories available on the market this Christmas, but we’ve yet to come across a product designed especially with the brand new iPhone 4S in mind. Well, look no further than the Incipio offGRID Backup Battery Case For iPhone 4/4S. Coming from one of the top Apple accessory manufacturers, Incipio, this gadget is bound to be a shore-fire success this Christmas. With a case and back-up battery all rolled into one very stylish package, the Incipio offGRID Backup Battery Case For iPhone 4/4S is one accessory no iPhone 4S user can be without. 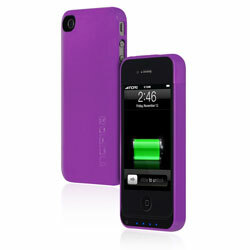 Available in 4 glossy colours, the Incipio offGRID Backup Battery Case For iPhone 4/4S is smart and sophisticated in design. Designed as an all-encompassing case, the Incipio offGRID Backup Battery Case For iPhone 4/4S features a battery which will double your iPhone 4S battery life at the push of a button, meaning you’ll never get cut off again. Slotting into your iPhone 4S dock connector, the Incipio offGRID Backup Battery Case For iPhone 4/4S features 4 blue LED lights that indicate how much juice you have remaining, making it extremely handy and efficient when you are on the go. What makes the Incipio offGRID Backup Battery Case For iPhone 4/4S unique is that it still allows you full control of your iPhone 4S camera and controls, whilst encasing it in the exceptional protection that only an Incipio case can offer. Adding little weight and bulk to your iPhone 4S, the Incipio offGRID Backup Battery Case For iPhone 4/4S is the ideal Christmas present, one that will come in handy time and time again. Choose from one of four fantastic colours to best suit the Incipio fan in your life; Glossy Red, Glossy Lavender, Black or Glossy White. The Scosche IDR655M Increased Dynamic Range Earphones with Mic are probably the most popular headphones we have here at eoutlet and they will make the best Christmas gift for the music enthusiast in your life. Designed to produce the smoothest, most impressive sound you can imagine, the Scosche IDR655M Increased Dynamic Range Earphones with Mic are made by music enthusiasts specifically for music enthusiasts. With powerful bass, rich clear sound, the Scosche IDR655M Increased Dynamic Range Earphones with Mic fit extremely comfortably into your inner ear and produce the kind of sound you have always dreamed of, the perfect companion to the iPhone or iPod. With an included tapline control and mic, you can keep your trusted iPod safely nestled in your pocket whilst you turn up the volume, or enjoy hands free conversations with your iPhone. Three different silicone inserts means that you can have the perfect fit, and unlike most headphones, don’t have to settle for one size fits all. Scosche have even thrown in a trusty travel pouch so you can keep your headphones safe and tangle free whilst not in use and on the go. 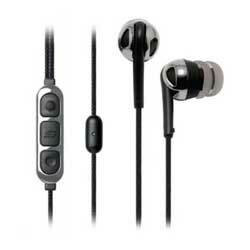 Make someone’s Christmas with a pair of the Scosche IDR655M Increased Dynamic Range Earphones with Mic from eoutlet.